If your child needs corrective lenses, there are a lot of reasons they might want contacts rather than glasses. Even today, glasses can still cause self-esteem issues. Or, if your child is in sports, they may worry about accidentally breaking their glasses. In fact, one of the most common questions we hear at Valley Eyecare Center, “When will my child be ready for contacts?” The basic answer is “any time,” but of course, it’s a little more complex than that. 1. 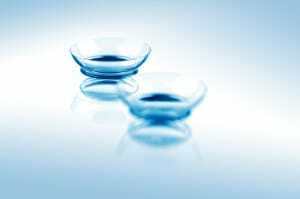 What ages can use contact lenses? There’s actually no minimum age, because our eyes don’t grow over time. In rare cases, infants have even been fitted with contact lenses. Usually, the “right age” for contacts is simply whenever the child is capable and responsible enough to use them properly, including cleaning and storage. 2. Hard or soft lenses? There are two types of contact lenses: soft, and “Rigid Gas Permeable” hard lenses. Each has its advantages. The short version is that soft lenses are generally more comfortable, but RGPs can sometimes slow down the progress of myopic vision loss by maintaining the eye’s proper shape. 3. Are childhood contact lenses more expensive than glasses? Given the variability of lens and frame pricing, it’s hard to say. Much of the cost depends on the level of vision correction needed. Or, if you’re interested in disposable lenses -which are great for teenagers- the costs usually only come to about $1 a day. 4. Are contact lenses safe for sports? Yes! Even hard-frame sports lenses are vulnerable to breaking on impact, causing cuts or worse. While the chances of serious injury are quite low in either case, the odds are even further reduced if your child is wearing contacts while they play.